My feelings exactly. Wasn't sure what to expect, but they did an awesome job with the film. And so many one-liners. Luis was hilarious. 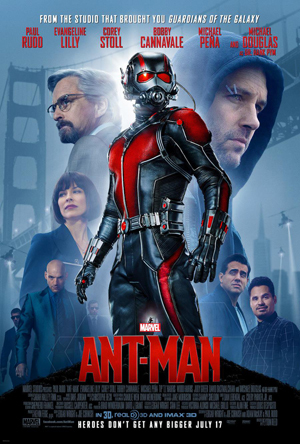 Ant-Man was fun; not Marvel's best, but still fun. and Happy Birthday for Tuesday! Hope you had a good one. I'm going to see it tonight. SO EXCITED!